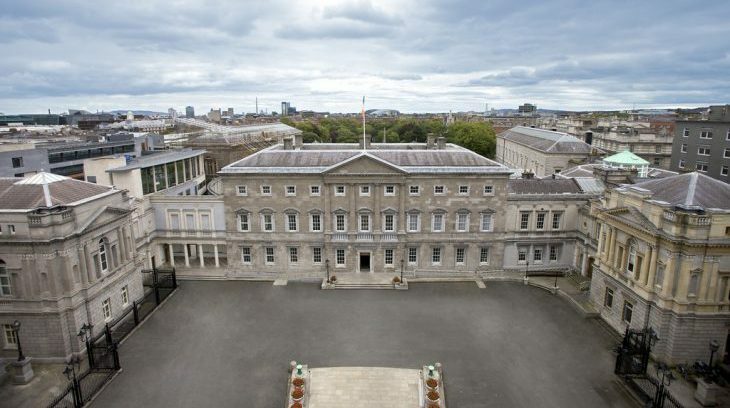 On 26 March 2019, the following questions were submitted in the Irish Parliament to the Tánaiste and Minister for Foreign Affairs and Trade by Clare Dalt T.D. and Catherine Connolly T.D. * To ask the Tánaiste and Minister for Foreign Affairs and Trade if representations will be made to the Government of Colombia regarding the killing of 20 social activists and community leaders to date in 2019. – Clare Daly T.D. * To ask the Tánaiste and Minister for Foreign Affairs and Trade if he will join the Norwegian and Cuban Governments which are guarantor countries to the Colombian peace process in urging the Colombian Government to approve the statutory law that would give the Special Jurisdiction for Peace the provisions it needs to guarantee truth, justice, reparation and non-repetition. – Clare Daly T.D. * To ask the Tánaiste and Minister for Foreign Affairs and Trade if representations will be made to the Colombian Government in relation to the consolidation of the Special Jurisdiction for Peace into law in the way in which it was agreed in the peace agreement. – Clare Daly T.D. * To ask the Tánaiste and Minister for Foreign Affairs and Trade if representations will be made to the Government of Colombia in relation to the killing by right wing paramilitary groups of a mayoral candidate (details supplied) in the town of Puerto Asis in Putumayo southern Colombia on 3 March 2019; and if he will make a statement on the matter. – Clare Daly T.D. * To ask the Tánaiste and Minister for Foreign Affairs and Trade if he has made representations to the Government of Colombia regarding the 20 killings of social activists and community leaders to date in 2019; and if he will make a statement on the matter. – Catherine Connolly T.D. * To ask the Tánaiste and Minister for Foreign Affairs and Trade if he has made representations to the Government of Colombia regarding the killing by right wing paramilitary groups of a person (details supplied) in the town of Puerto Asis in Putumayo, southern Colombia on 3 March 2019; and if he will make a statement on the matter. – Catherine Connolly T.D. * To ask the Tánaiste and Minister for Foreign Affairs and Trade if he will join the Norwegian and Cuban Governments, guarantor countries to the Colombian peace process, in urging Colombia to approve the statutory law that would give the Special Jurisdiction for Peace the provisions it needs to guarantee truth, justice, reparation and non-repetition; and if he will make a statement on the matter. – Catherine Connolly T.D. * To ask the Tánaiste and Minister for Foreign Affairs and Trade if he will make representations to the Colombian Government regarding the importance of consolidating the Special Jurisdiction for Peace into law in the way in which it was agreed in the peace agreement; and if he will make a statement on the matter. – Catherine Connolly T.D. I am aware of the climate of violence and intimidation which exists for political and community activists and leaders in Colombia, as well as of the worrying figures and specific case to which the Deputy refers. This continues to be a matter of real concern for the Government. I wish, first of all, to extend my sincere sympathies and condolences to all of those affected by acts of violence in Colombia so far in 2019. I would like to reiterate that such violence is entirely unacceptable. I would also like to take this opportunity to once again urge the Government of Colombia to ensure that all such violent incidents are thoroughly investigated and their perpetrators brought to justice. The Department of Foreign Affairs and Trade has an ongoing commitment to support peace and promote human rights in Colombia, including through the full implementation of the country’s peace accord. In our exchanges with the government and official representatives of Colombia, we regularly raise human rights concerns, including the situation of human rights defenders and community leaders. As well as exchanges with the Colombian authorities at Government level, officials at the Department and at our new Embassy in Bogotá engage regularly with human rights defenders and civil society leaders active across the country. Ireland has provided over €14 million in funding to Colombia since 2007, focusing on the areas of human rights, conflict prevention, peacebuilding and supporting livelihoods for rural populations. The Department provides funding directly to the United Nations Office of the High Commissioner for Human Rights in Colombia to support its important work in promoting and protecting human rights, including in some of Colombia’s most isolated and challenging regions, as well as to the Inter American Commission on Human Rights, which provides protection measures to community leaders and activists operating in Colombia and elsewhere in Latin America. I firmly believe that Colombia’s peace accord provides the framework in which the endemic violence and impunity which has afflicted Colombian society for decades can successfully be addressed. Historic strides have been made to date in its implementation. However, significant challenges still remain, including in the areas of de-mining, attention to victims, transitional justice, and rural development, some of which of course will have an impact on the situation of political and community activists. Ireland remains a committed partner to the Colombian Government in the peace process, and we will support the Government as it continues its work towards the full implementation of the peace accords, a message we have made clear in our contacts to date with the Government of President Iván Duque. In addition to the organisations mentioned above, my Department also provides funding to the UN Multi-Partner Trust Fund for Colombia, which works to support stabilisation in areas affected by the conflict, towards reincorporation of former combatants, and to support victims and systems of transitional justice, including by working to strengthen the Special Jurisdiction for Peace. Ireland was also a founding member of the EU Trust Fund for Colombia, and will contribute €3 million over the five-year lifespan of the Fund. The Fund finances projects targeted at the marginalised rural areas of Colombia which have been most affected by conflict, and all projects incorporate a human rights and gender perspective. As we know from our own experience, peace is the work of decades. Ireland is committed to supporting the full implementation of the agreement to ensure the eradication of violence in vulnerable communities and a more peaceful and stable future for all Colombians. Having a permanent diplomatic presence on the ground, with the opening of our Embassy in Bogotá earlier this year, will greatly enhance our ability to meet that commitment, and we will continue to work alongside the Colombian Government and our EU, multilateral and civil society partners towards this goal.